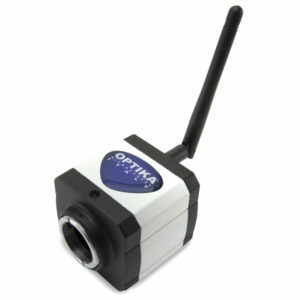 OPTIKAM WiFi is the future of connectivity, with the ability to share your image/video with one, simple step instead of several. 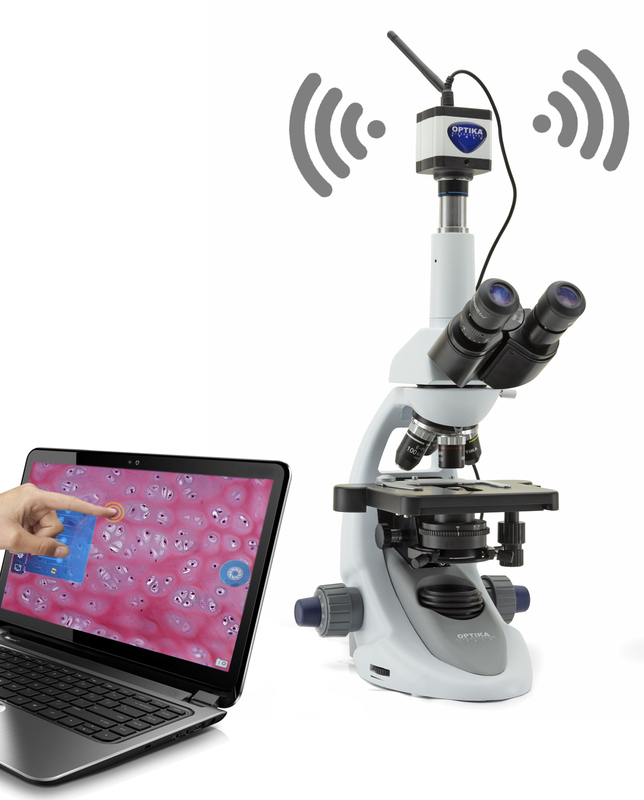 Connectable with any device (smartphones, tablets, PCs) just by entering a specific URL address – with any type of browser, this camera is a great response for teaching purposes and discussion groups. It can virtually be connected to an unlimited users, but in order to have a good live speed, we do not recommend to exceed 20 devices simultaneously connected. The camera can be also used as a standard USB camera: in USB mode, the resolution is 5 MP, which becomes 2 MP in case of Wi-fi mode, to ensure a higher live speed. 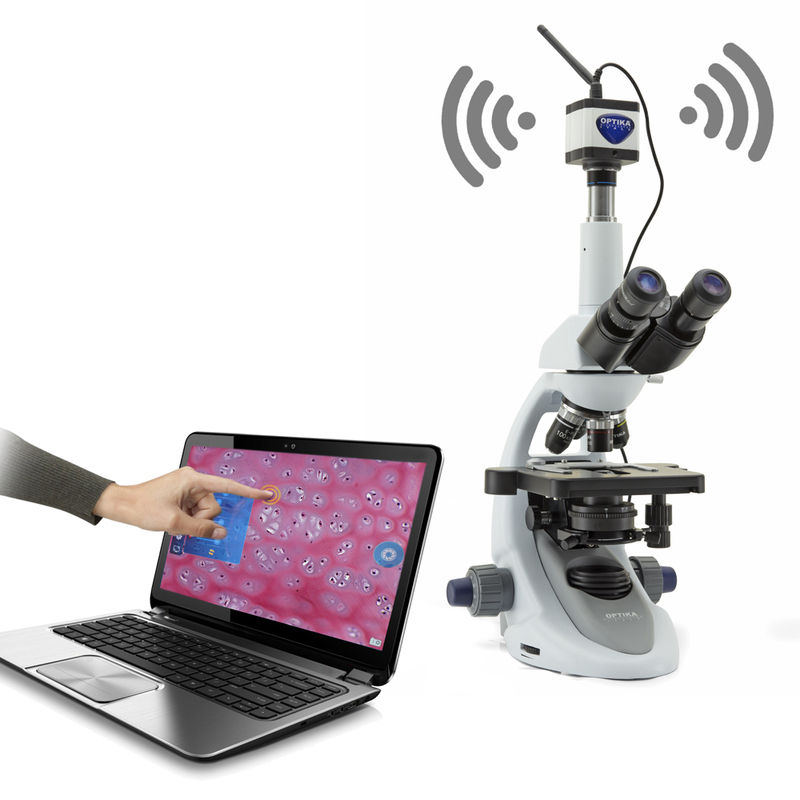 It has a CMOS sensor and can be connected both on a trinocular C-mount port and eyepiece tube; it comes with the user-friendly and intuitive OPTIKA Vision Lite software (when using it in USB mode). 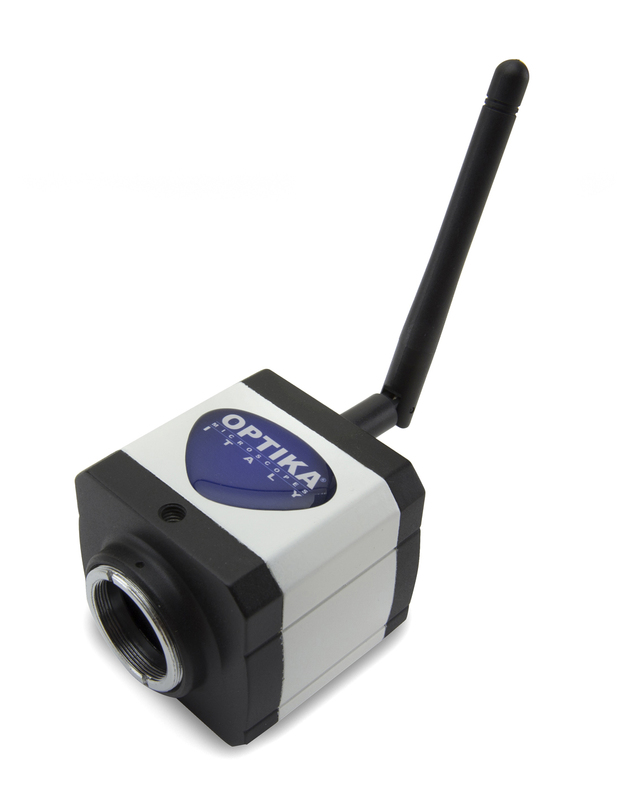 It is very intuitive and easy to connect your device to OPTIKA WiFi camera, since no router is needed. 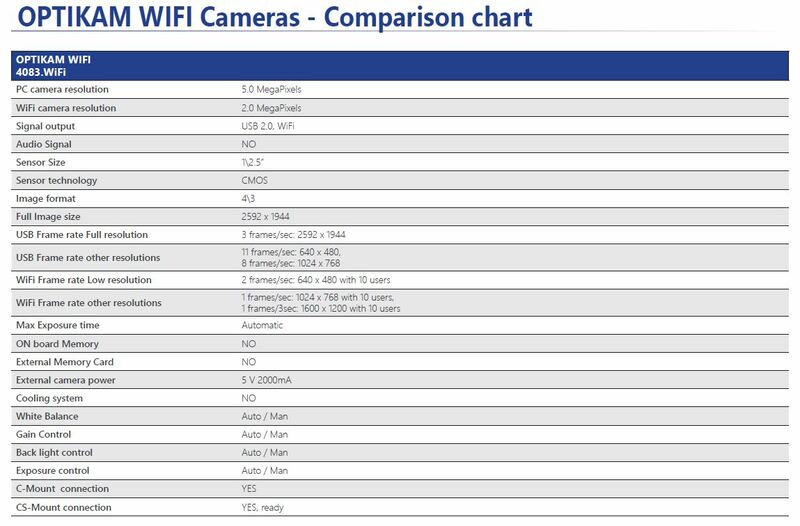 and the camera will be quickly connected to any device (any PC, tablet, and smartphone). Wireless camera with CMOS sensor for discussion group to be used in the eyepiece and on the trinocular tube, coming with OPTIKA Vision Lite software (when used in USB mode).